I planned on going out with Lisa today to deliver Thanksgiving biscuit love, visit and enjoy an adult beverage coffee with friends, and run a couple of errands. I was looking forward to it. 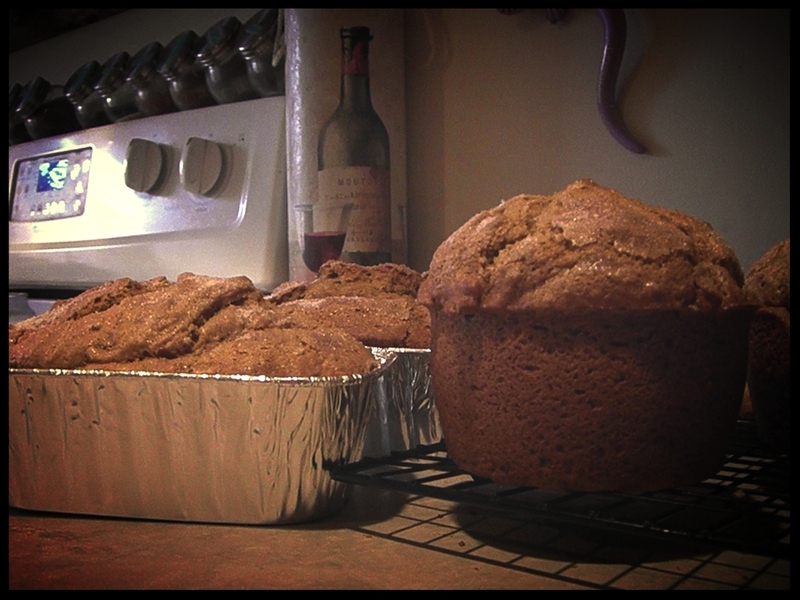 I baked pumpkin bread for the occasion. I even showered and put styling product in my hair so I wouldn't look like my usual frumpy, work-at-home dog mom. I even contemplated giving myself a DIY pedicure. I'm still wearing my Crocs flipflops. We're having a mild November. All was going as planned until Lisa arrived home from work with a few groceries. Mind you, at the time of her arrival, I was in the middle of doing about 102 things. That doesn't matter. What does matter is I was barefoot. A few useless facts about me. I hate shoes. I hate socks. I wear Crocs Flip Flops until there is snow on the ground regardless of the temperature. Most of the time, I'm barefoot when indoors. Seconds before it happened, I was in the bathroom. Peeing. Checking the status of my natural beach wave curls. I could hear Lisa talking to the kids. She asked how my day was. I immediately replied in full animation. I storm out of the bathroom, waving hands, talking, giggling, exchanging banter, and embracing the loudness of the kids barking when Lisa walked in. I walked right through the bags of groceries, tripping and stumbling over the grocery bag of a few canned goods. The kitchen counter broke my fall. My hands grasped the counters tightly. My right foot was throbbing. A can or two of Campbell's Cream of Mushroom soup were dented...as I later discovered. And, I stood there laughing. Lisa sucked in her breath and stood still. Quiet. I don't think she knew what to do or say. There I was laughing. The kids were fixated on my current state-of-being. Like, ah oh, what happened to Mom. I hobbled to the bedroom and fell on the bed, tummy first. Right leg up and bent into the air. The noises coming out of my mouth was a mixture of laughter, crying and what-the-hell-just-happened. My foot was swollen for several days and bruised on the bottom. I adhered to my Home Remedy: Tape & Grapes. And ibuprofen. I survived.